Hope Mitchell, MD (Perrysburg) - Book Appointment Online! Thank you in advance for considering Mitchell Dermatology for your skin care needs. 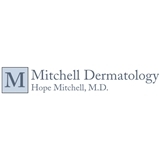 Mitchell Dermatology is committed to excellence by pledging to provide the highest quality of dermatological care possible. We gladly welcome new and returning patients and sincerely appreciate your confidence in our practice. At Mitchell Dermatology, our mission is to promote business practices that respect our customers and employees by providing an environment of mutual respect, encouragement, and teamwork. To most competitively meet our customer’s needs, we depend on the integrity, knowledge, imagination, skill, diversity, and teamwork of our employees. We are committed to providing the most up to date information on skin care, skin care products, and medical conditions affecting the hair, skin, and nails in all age groups. Very professional and courteous staff. Very helpful and nice. Made me feel very comfortable.